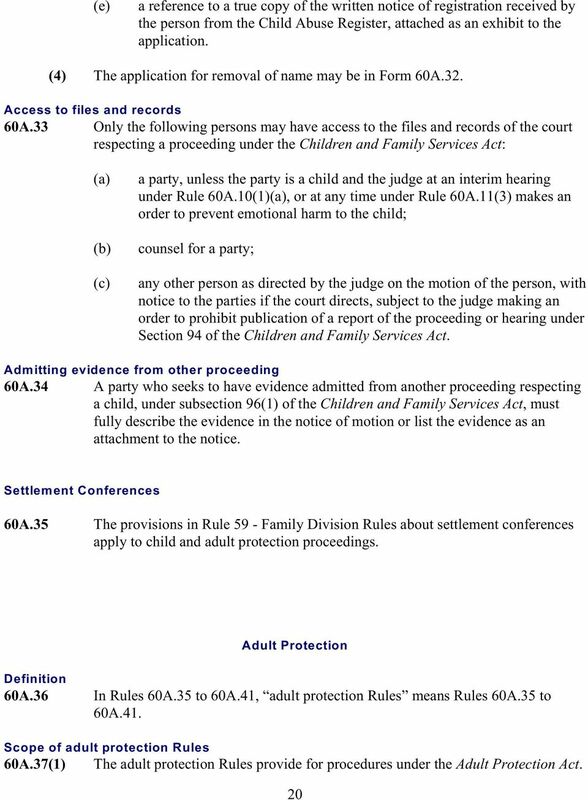 Download "Rule 60A - Child and Adult Protection"
1 Rule 60A - Child and Adult Protection Scope of Rule 60A 60A.01(1) This Rule is divided into four parts and it provides procedure for each of the following: (c) (d) protection of a child, and other purposes, under the Children and Family Services Act; protection of an adult, and other purposes, under the Adult Protection Act; involuntary medical examination under the Involuntary Psychiatric Treatment Act; review under the Hospitals Act. 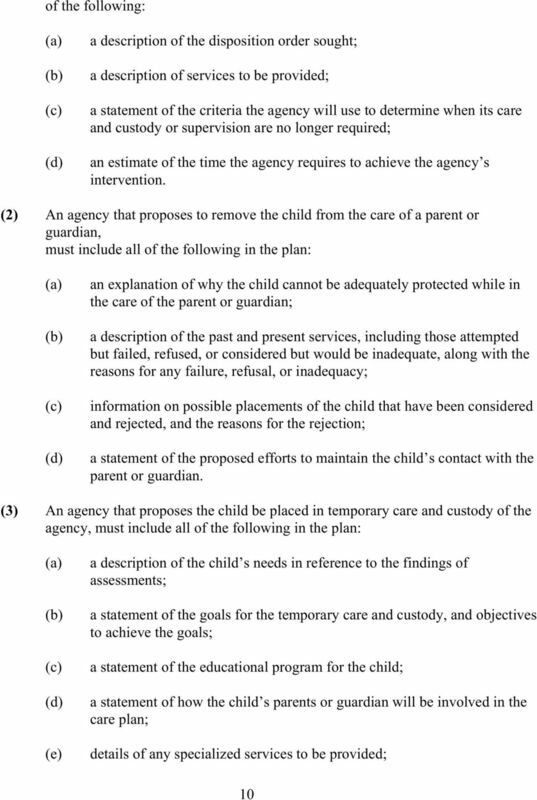 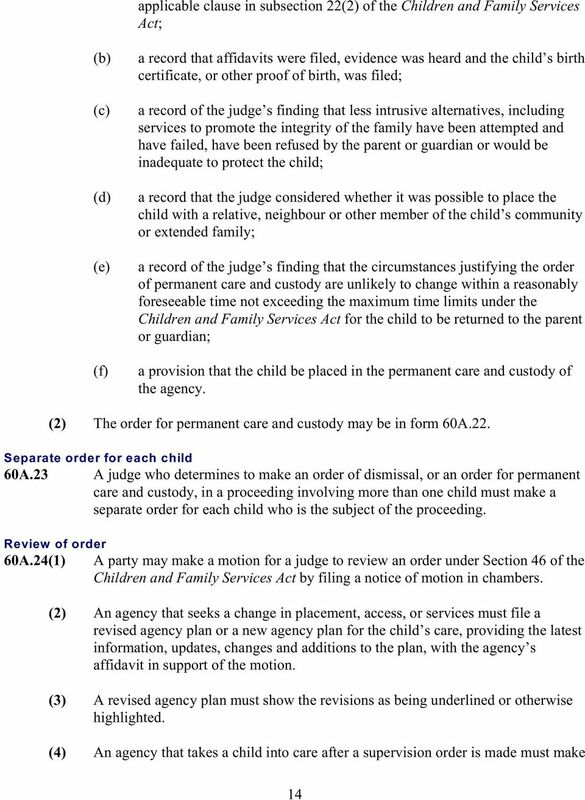 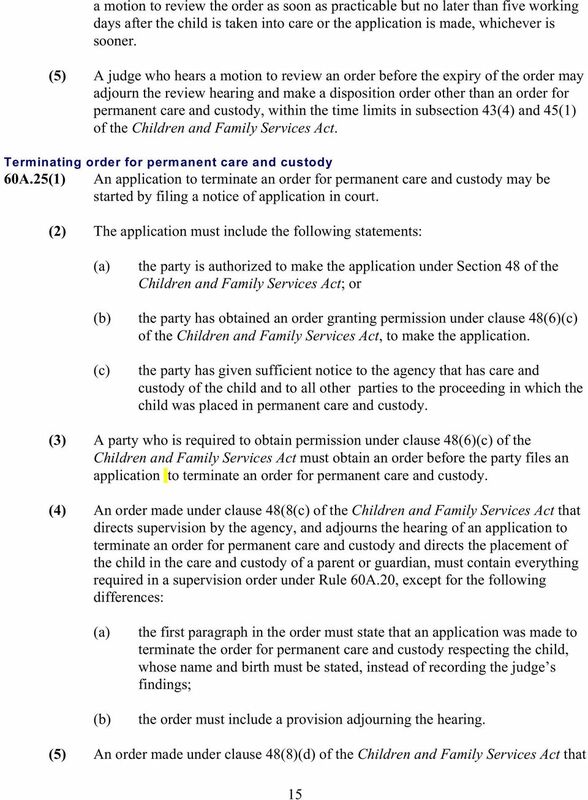 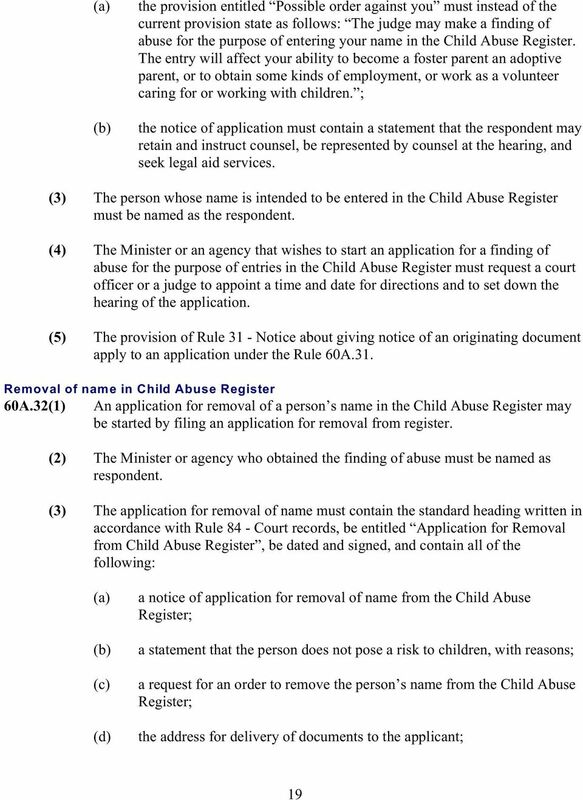 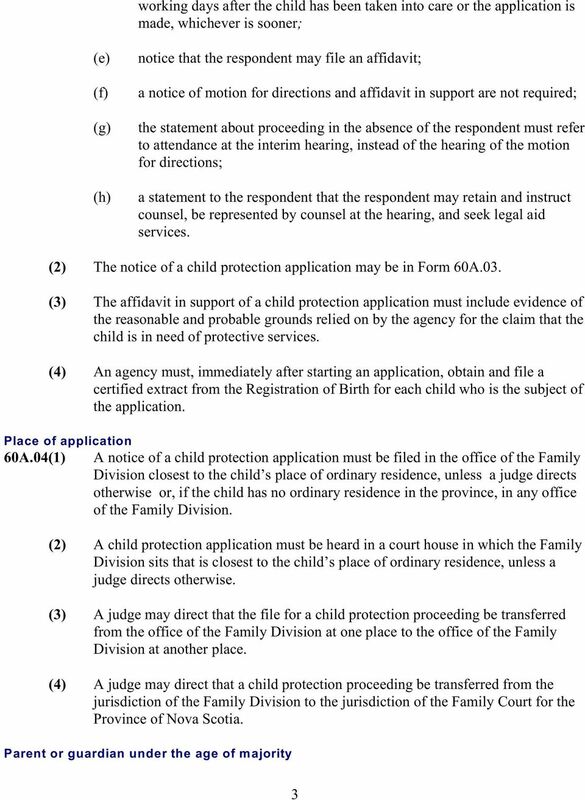 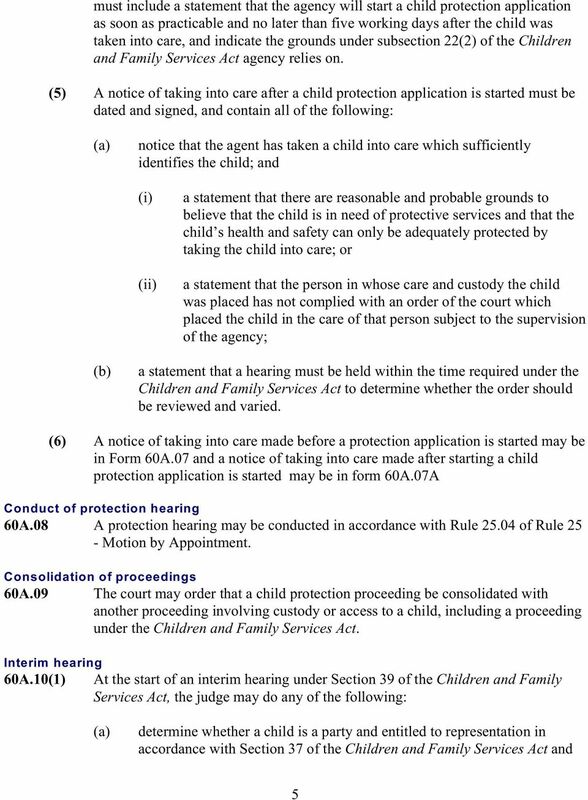 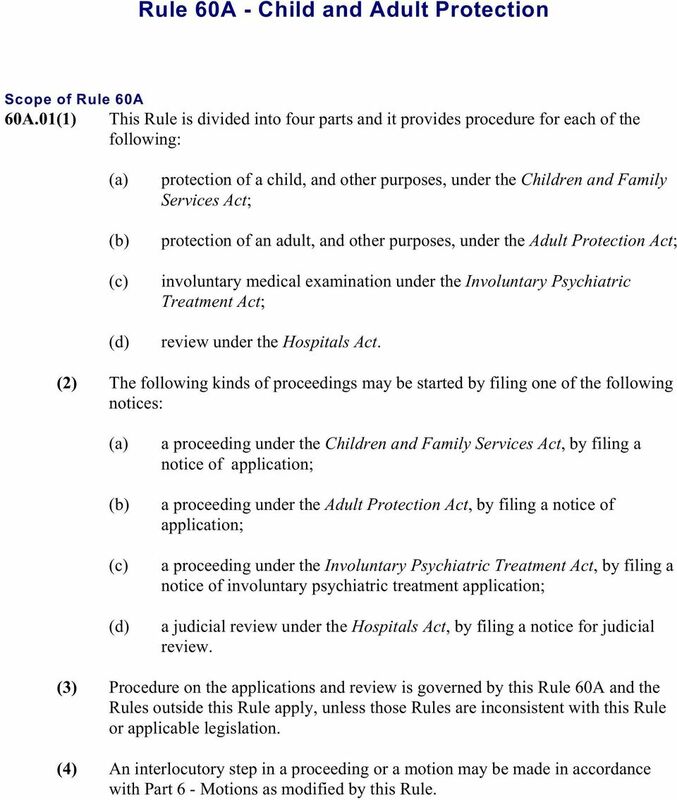 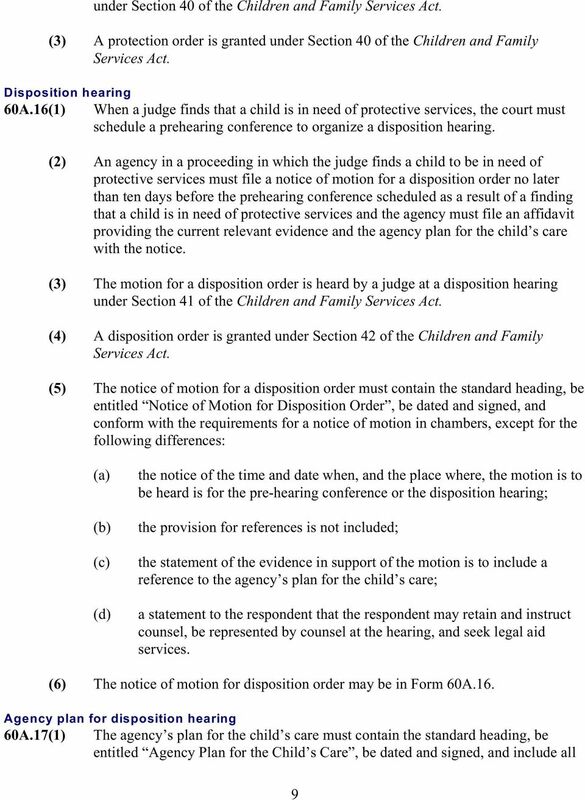 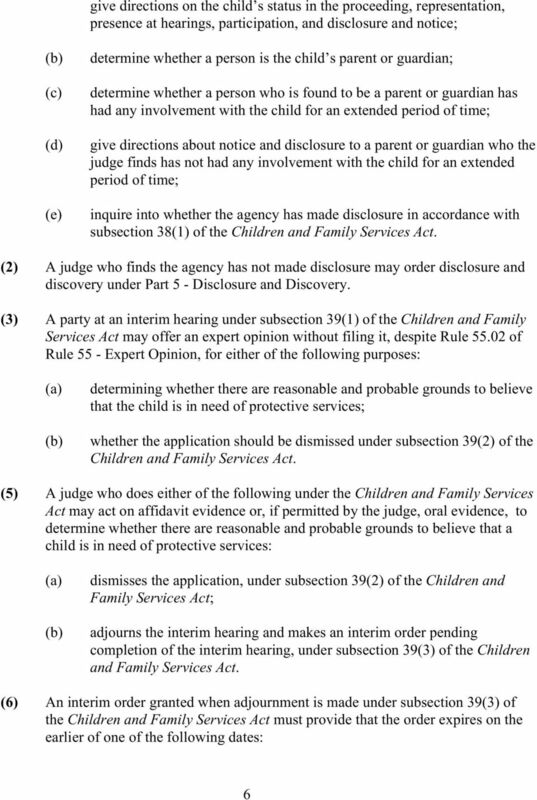 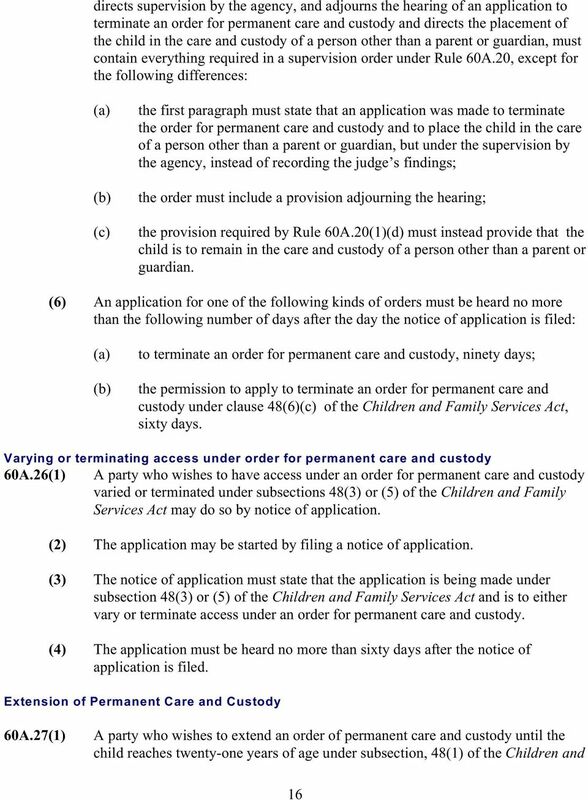 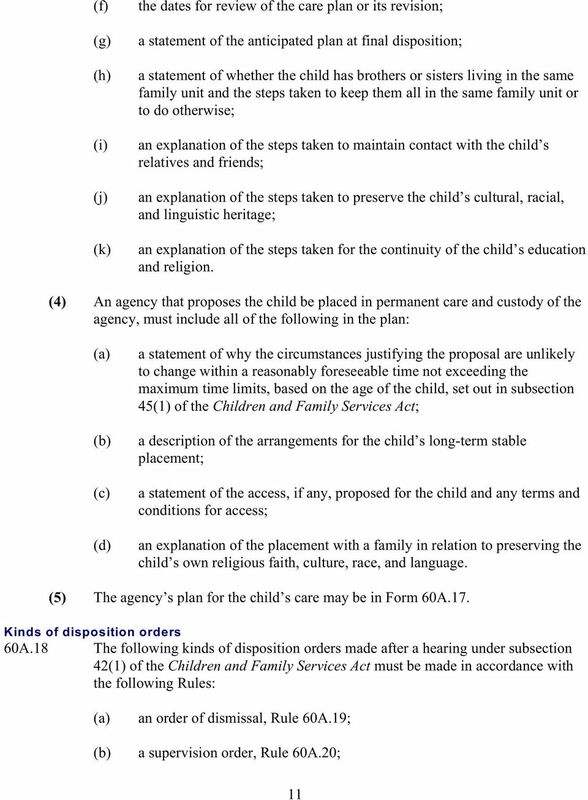 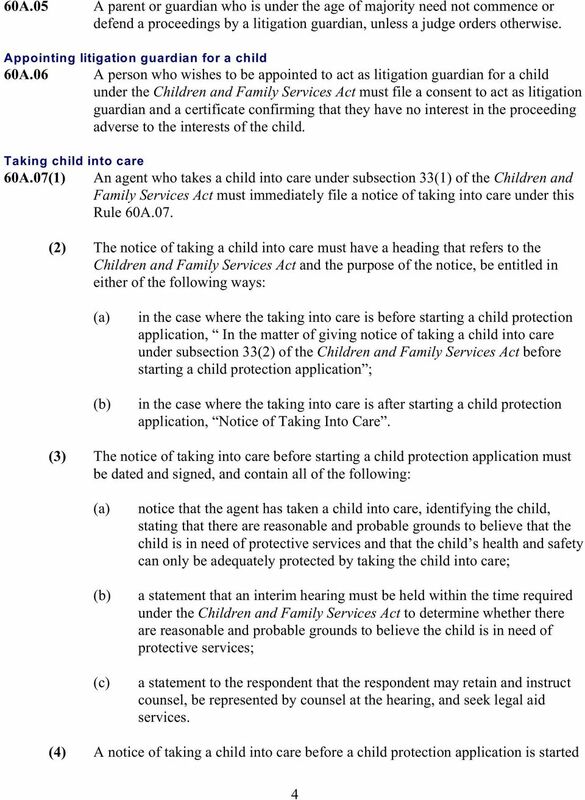 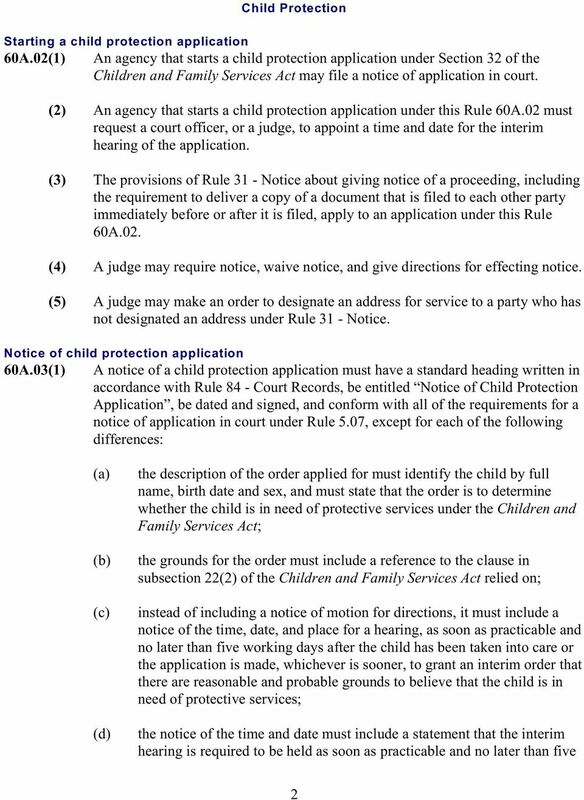 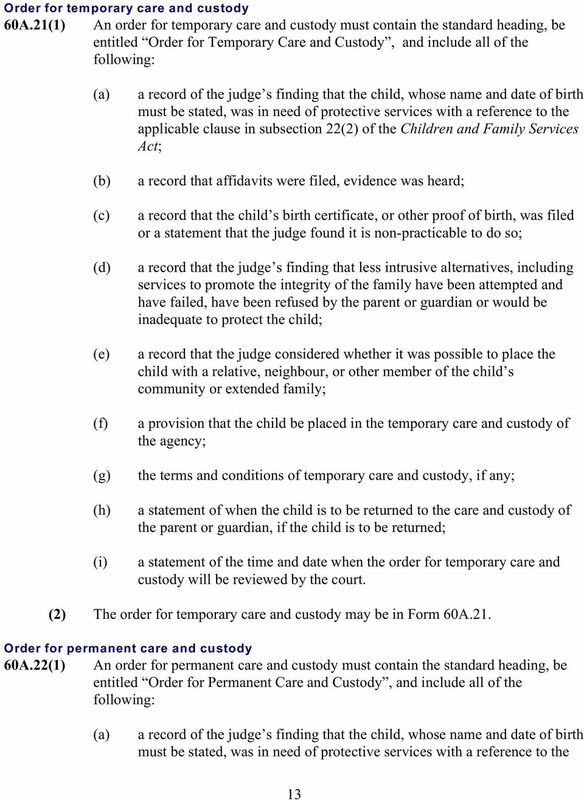 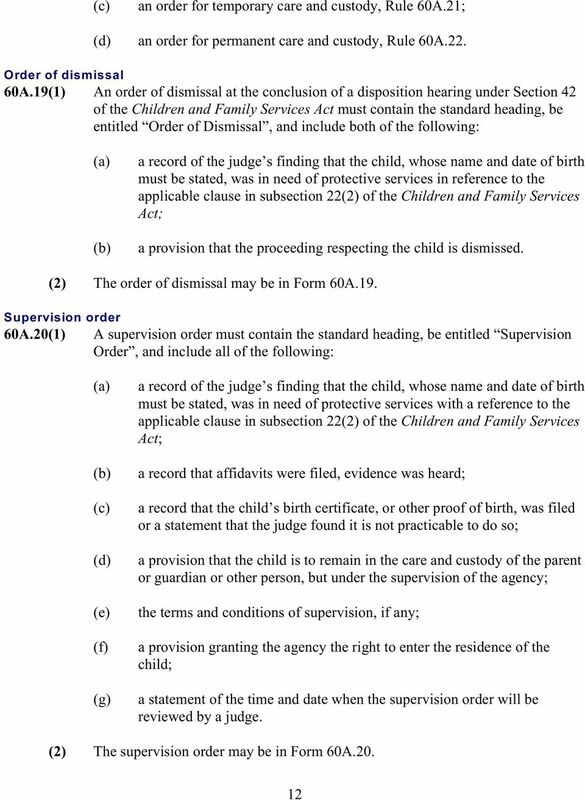 (2) The following kinds of proceedings may be started by filing one of the following notices: (c) (d) a proceeding under the Children and Family Services Act, by filing a notice of application; a proceeding under the Adult Protection Act, by filing a notice of application; a proceeding under the Involuntary Psychiatric Treatment Act, by filing a notice of involuntary psychiatric treatment application; a judicial review under the Hospitals Act, by filing a notice for judicial review. 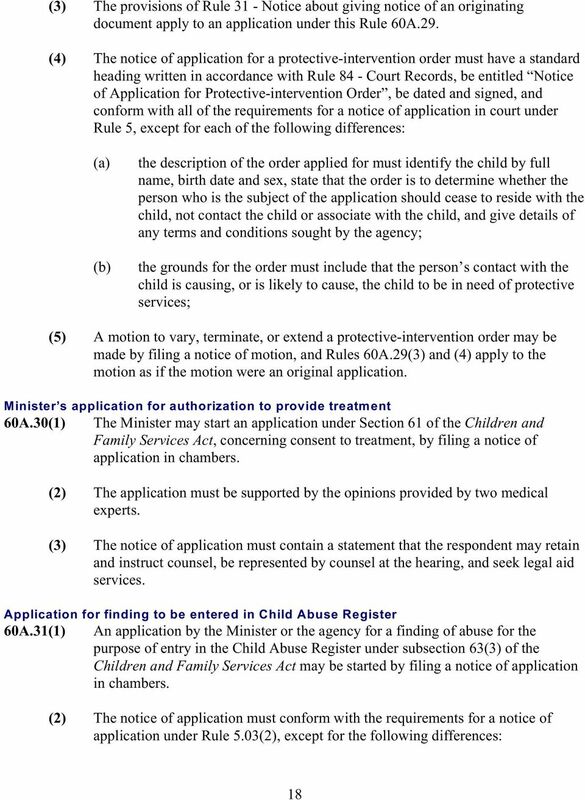 (3) Procedure on the applications and review is governed by this Rule 60A and the Rules outside this Rule apply, unless those Rules are inconsistent with this Rule or applicable legislation. 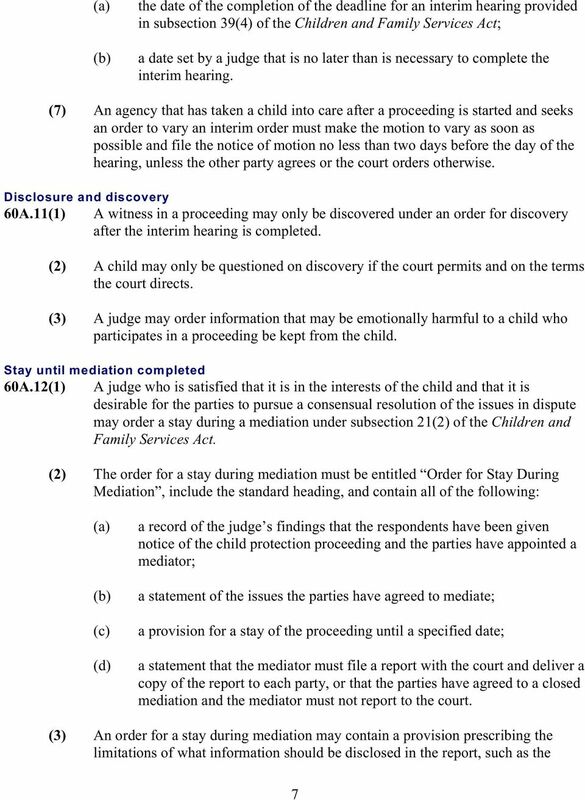 (4) An interlocutory step in a proceeding or a motion may be made in accordance with Part 6 - Motions as modified by this Rule. 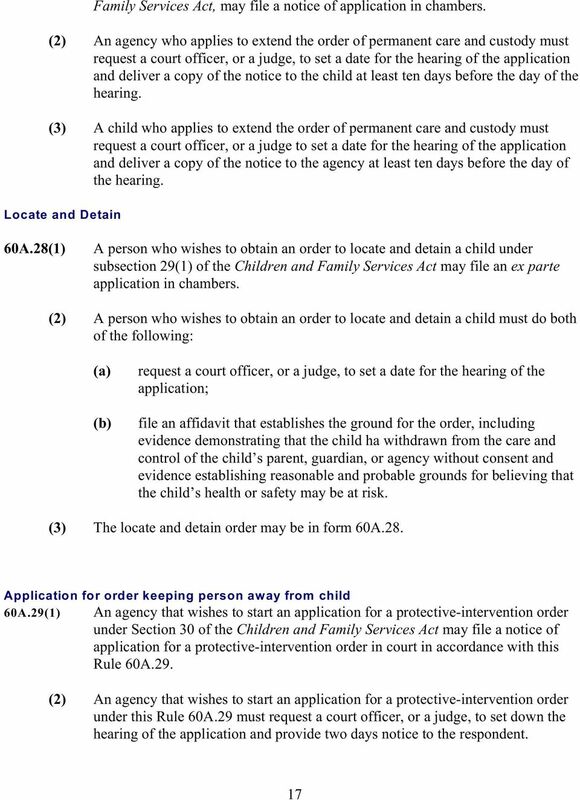 Utah UCCJEA Utah Code Ann c-101 et seq.